I know I’m the first one to tout the glories of Mexico beyond the beach. Because Mexico, beyond the beach, is in fact quite glorious. That said, the country is home to some pretty fabulous beaches, and is America’s #1 beach choice getaway for a reason. So I’m going to put my soap box down for a second and fill you in on my favorite beaches in Mexico. Puerto Escondido is one of those rare towns where authenticity and tourism seem to gel in harmony. Aussie surfers crush waves at dawn, while proprietors still speak first to patrons in Spanish. By night, beachside surf bars with sandy floors and thatched roofs crank out Reggaton as French Canadians and Israelis sip mezcal, while Oaxaquena women grill up delicious tlayudas on open, charcoal grills outside the local mini mart. The main drag, Calle El Morro, is a single stretch with tacky surf shops, boutiques, cafes, and, of course, beach bars. The beach itself, Playa Zicatela, is massively wide with waves that are legendary throughout the world. 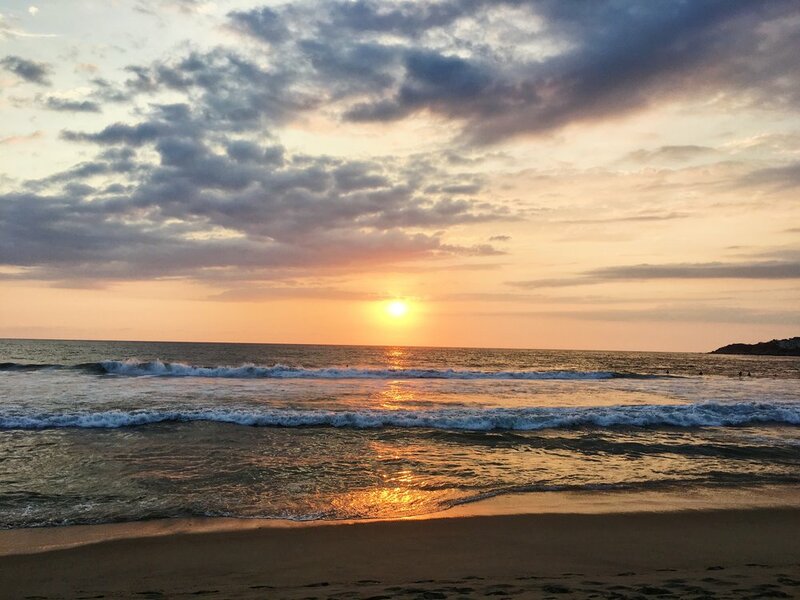 Invest in your own set of wheels and set off south from Puerto Vallarta along Highway 200, which hugs the Bay of Banderas before winding up into the mountains and Selva El Tuito National Park. This is the Cabo Corrientes: 45 miles of untamed shoreline. Between craggy coves you’ll find clusters of secret beaches, many only accessible by boat, and the rugged Playa Mayto is among the most beautiful you can still reach by foot. Fringed in palm trees, the beach itself is virtually empty save for one family-run hotel with clean, basic rooms and a small restaurant serving up three meals a day. Budget-conscious travelers can pitch a tent at the on-site campground, as well. After you've been asked for the thousandth time if you want to buy a Seahawks Luchador mask or a bag of weed on the beaches of Puerto Vallarta, you'll be begging for some solitude. One of the best things to do in PV is hop a water taxi to “secluded” beaches like Yelapa and Las Animas... thing is, it's an activity enjoyed by many, thus defeating the purpose. But tucked between the well-trodden shores of Boca de Tomatlan and Las Animas is Playa del Caballo, a beach that’s straight out of Castaway. There’s nothing here but towering palm trees, psychedelic blue water, and lean-tos built out of palm fronds left by campers past. You may see the occasional local who has hiked in from Boca de Tomatlan, or a few other travelers who have scoured the secret beach blogs. Don't worry about bringing in your own sustenance -- there's a full bar at Casitas Maraika, just north of the beach on a cliff overlooking the water, where you can munch on tacos and burritos. It also has bungalows to rent out, should you want to spend the night. To get to Playa del Caballo, take the bus from Puerto Vallarta to Boca de Tomatlan. From there, you can take a water taxi to Las Animas and walk north, or you can embark on the ridge hiking trail that hugs the coastline and stops at several other secluded beaches along the way. Tulum is anything but low-key these days; instead of arriving late to the party, skip it altogether and keep heading south. Practically at the border of Belize, at the very southernmost point of Quintana Roo, you'll find the Costa Maya, a stretch of coast well loved by locals. On one side you have the gorgeous Caribbean Sea and with its #instaporn colors, and on the other, lush, verdant mangroves teeming with wildlife. Onshore, there’s the Sian Ka'an Biosphere Reserve, where visitors stand a good chance of spying monkeys and jaguars. Make Mahahual your jumping off point for exploring; although the town's main eyesore is a small cruise terminal, it’s thoroughly backpacker friendly with small hotels, hostels, and beach bars. Consider Posada Pachamama, a small guesthouse in the heart of the town, and don't skip Nohoch Kay, a beachside restaurant serving up whole fish bathed in garlic or white-wine sauce. 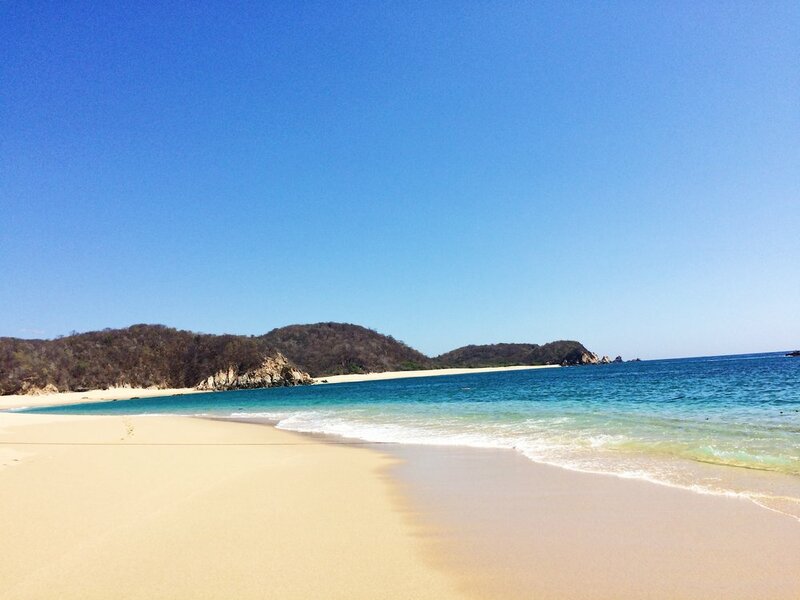 The cruise port of Huatulco on the southern coast of Oaxaca is comprised of nine different bays, and the most hidden and arguably most beautiful is Bahía San Agustín, a small fishing village 9 miles west of Santa Cruz Huatulco. At the end of a dusty dirt road off of coastal Highway 200, you’ll find a mile-long, crescent stretch of golden beach and cobalt-colored water. Bahía San Agustin trades the resorts and tourist-packed restaurants that plague Huatulco’s other bays for rustic palapa beach shacks slinging grilled fish tacos, fresh ceviche, and frosty Pacificos. You’ll share the sand with mostly locals who’ve come to escape the fray of gringos nearby. Snorkeling in the calm waters is the main event of the day; plenty of huts will rent out masks. Getting there is a bit of a hike, but that’s kind of the point, right? Grab a taxi from Santa Cruz, or snag the bus between Huatulco and Pochutla and take a taxi from there. Located at the convergence of Lagunas de Chacahua National Park and the Pacific Ocean, the village of Chacahua is ideally placed between freshwater lake and open sea. Travelers can take the long, dusty, bumpy dirt road to reach the idealistic, sugary shores, but the more fun way is to get yourself to the village of Zapitolite, where a water taxi awaits to take passengers the hour-long boat ride across the national park lagoon, through the fields of mangroves past flocking egrets and the occasional cresting dolphin, and out to the sandy point that surfers call heaven. You won't find much in Chacahua. But that is effectively the beauty of Chacahua. A long, broad stretch of sandy beach is lined with basic beach bars shielded from the aggressive sun by thatched palapa roofs. Basic to rugged accommodations include cement-floored shacks, where luxury items include mosquito nets and running water. Camping is a popular option here, as well. But all can agree that the main activity in Chacahua is surfing, and avid surfers can turn this one-horse town into an 11-day vacation at minimum chasing the perfect, rolling waves that are near flawless every time. You know this beach. Trust me - you do. Even if you’ve never been there, you’ve seen it in pictures for sure. 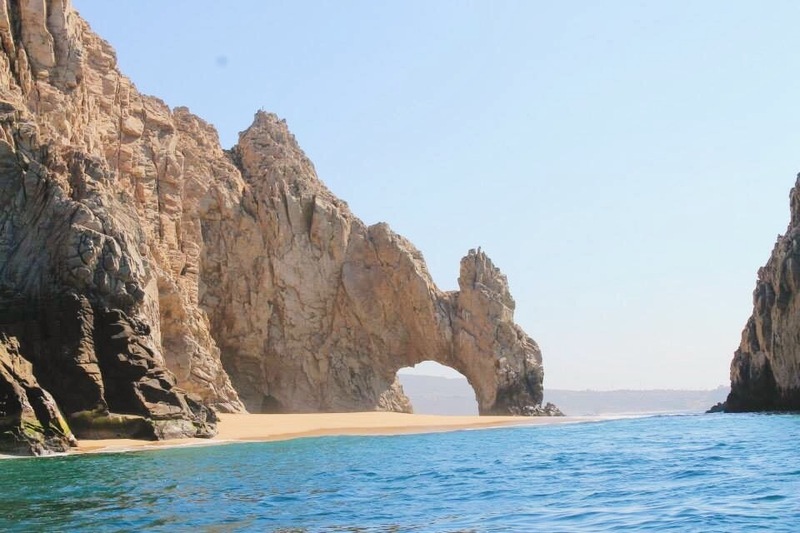 Known for the iconic Arch of Los Cabos, this beach isn’t exactly swimmable, but it’s gorgeous to look at. View from boat, via a challenging hike or from a helicopter (if you’re feeling fancy) and snap away. While a lot of beaches in Los Cabos aren’t meant for swimming, due to violent waves, it’s a perfect beach for laying out and soaking up the rays. 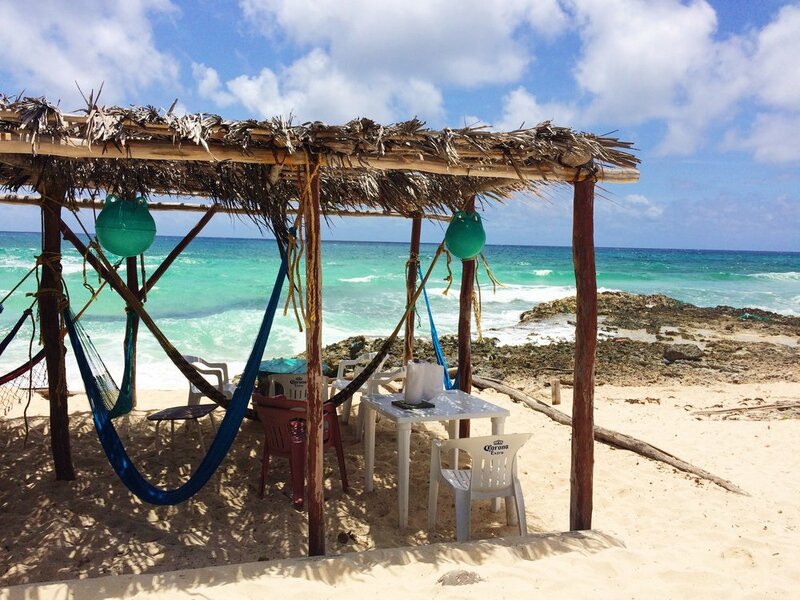 Gorgeous beaches with crystal water and dreamy white sand line the East Coast of Cozumel, but the one that the locals prefer is Playa de San Martin. This beach boasts excellent waves and so is popular with young people who love to surf. My favorite beach is home to the Liquor Box (just drive on the one highway and you'll find it on the east coast). Beach bars and cantinas line the entire coastline, and the farther away from the downtown you go, the more local they become. On the east side of the island is local beach bar-meets-fish-shack, the Liquor Box. Cheap mojitos and mango daiquiris pair nicely with fish empanadas, all which can be enjoyed in a lazily swinging hammock that overlooks the turquoise sea. It’s not the most private of beaches. Well, it is in a way. Playacar is a gated community in Playa del Carmen, where affluent business people from Mexico city have their community of second homes. It’s also a community bursting with all-inclusive hotels that line the sugary shores. That said, it is a truly spectacular, pristine, and flawless Caribbean beach. It’s everything you’d expect from a shoreline hugging the Caribbean Sea, with eye-popping turquoise water and cocaine-colored sand. No beaches in Mexico are private, so if you’re not staying in Playacar, you can surely walk down the beach from Playa del Carmen to reach the beaches. It wil be worth the trek, for sure. About an hour out from Puerto, 200 veers to the right, becoming Mexico 175, a smaller, single-lane highway that practically touches the water as it darts in and out of these secluded beach escapes. Here you’ll find three adjacent villages, which have gained a cult following of spirit chasers and free souls. Said to be a natural vortex of energy, Zipolite has been drawing hippies for decades, as they are drawn to its essentially ‘anything goes’ attitude. The perpetually sun-baked wander in their handmade, hemp clothing, lighting up joints wherever they please, or completely disrobing for a full-body tan. The policia is virtually non-existent in Zipolite, as the neighborhood is just that tranquilo. Zipolite is what Puerto Escondido must have looked like 20 years ago, with ramshackle beach huts, hammocks, street food, and not much else.